Wat Buddharatanaram. Keller Texas. March 3, 2017. 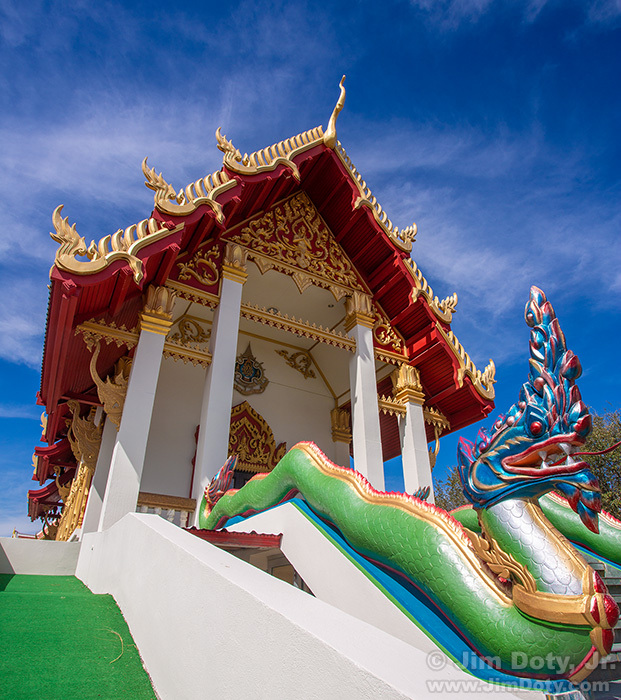 One of my favorite places in the Fort Worth area is the Buddhist Temple in Keller Texas. Officially know as Wat Buddharatanaram, it is sometimes called Wat Keller for short. 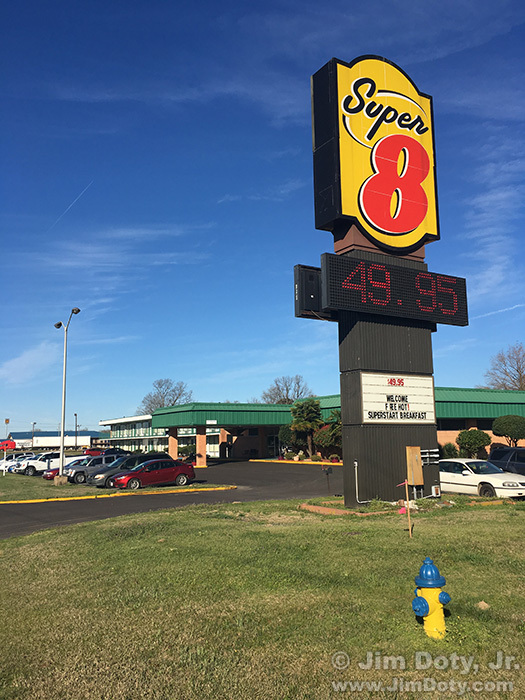 Super 8, Hope Arkansas. March 2, 2017. Why is this a favorite photo? Keep reading! Total immersion nature photography weekend in Lamoni Iowa. May 10-12, 2019. Details here. 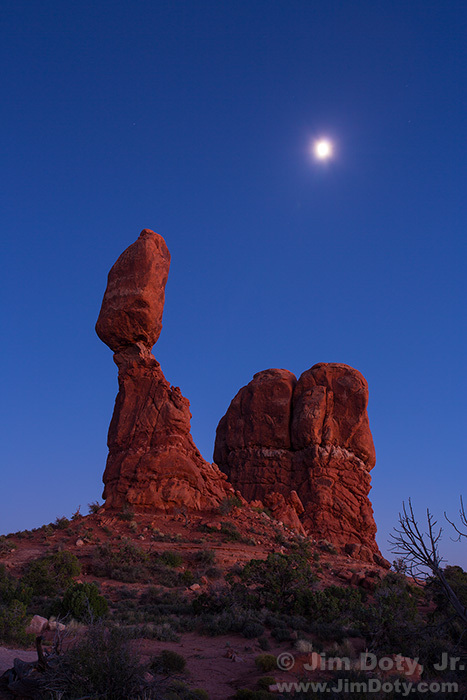 Moon Over Balanced Rock, Arches National Park, Utah. 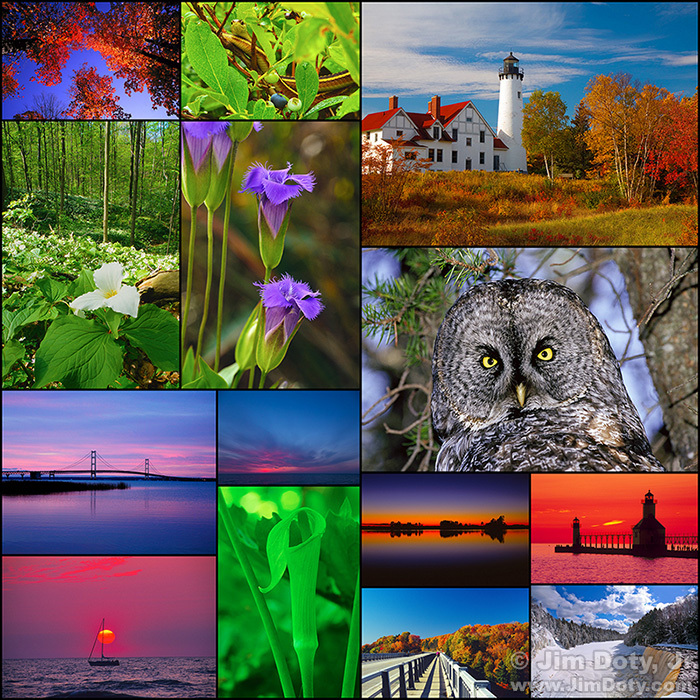 Are you planning a spring photography trip to some U.S. national parks? Where should you go? Which parks will provide the best photographic opportunities? Which parks are at their best in the spring? 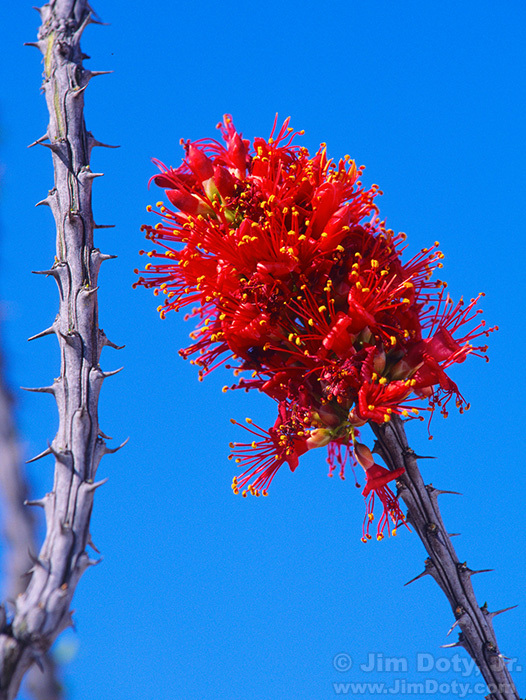 Ocotillo. Big Bend National Park, Texas. If I could go on a fabulous spring photography trip to the national parks of my choice, with no time limit and all expenses paid, which ones would I pick? Here are my choices, grouped by state from west to east. This list includes the favorites I have been to and want to go back to again, plus the ones I haven’t seen and most want to photograph. Why set a custom white balance? The answer is simple. To get the best, most accurate colors your camera is capable of producing. 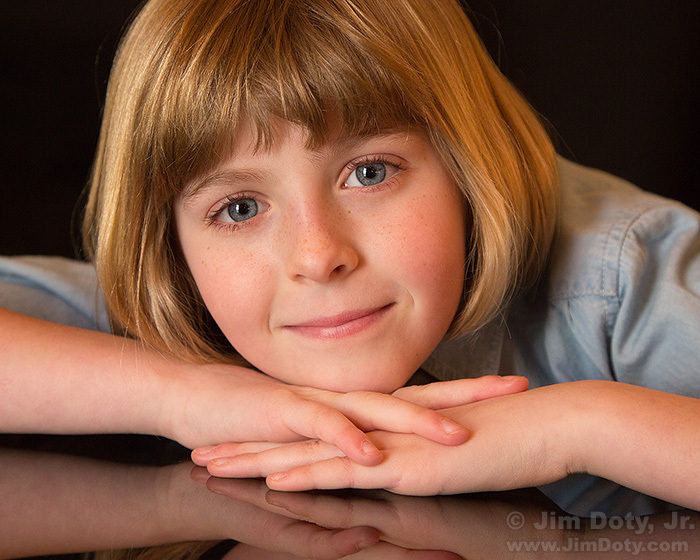 It is especially important when photographing people if you want beautiful, accurate skin tones. In this article I give you some shooting tips, answer common questions, and I cover the situations when it is preferable not do a custom white balance. Before and after setting a custom white balance. To get the most accurate colors your camera is capable of creating you need to set a custom white balance. Every camera does this a little differently, but it involves taking a picture of an 18% gray card (or something pure white) and using that photo as a standard to create a custom white balance setting. I will show you the process with a Canon camera, but other brands should be somewhat similar. Check your camera’s manual for specific instructions. Photographing religious ceremonies is important to me. 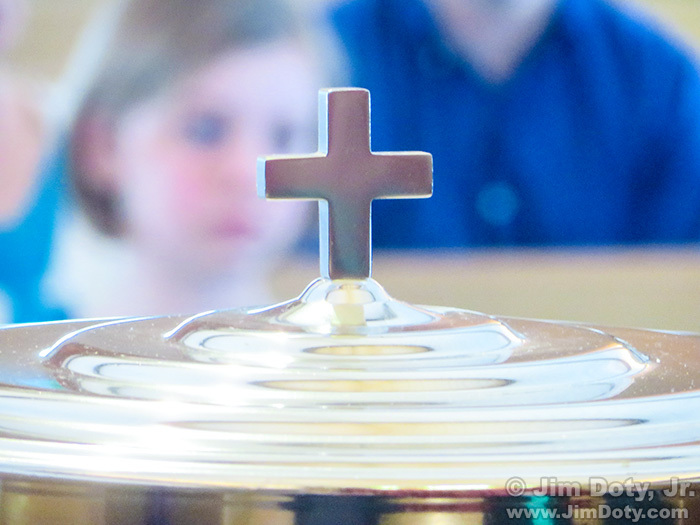 This image was captured at a communion service in Worthington Ohio. I wanted the cross on the wine tray in focus and I wanted one or two people in the background. I had to change the camera location just enough so there were some people directly in line with the cross. Tonight, “Free Solo” on Nat Geo! Don’t miss this! 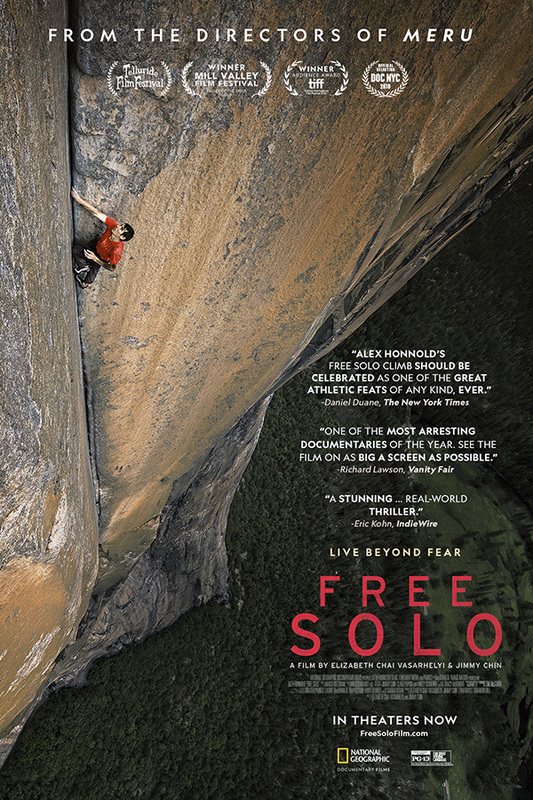 Tonight (Sunday, March 3), the movie “Free Solo” will be on the National Geographic Channel. 9pm Eastern, 8 pm Central. This is the stunning, Academy Award winning documentary of Alex Honnold’s “free solo” (no ropes, no safety harness) climb of Yosemite’s El Capitan. Honnold is the first and only person to free solo El Capitan. Southwest Colorado in the Fall. 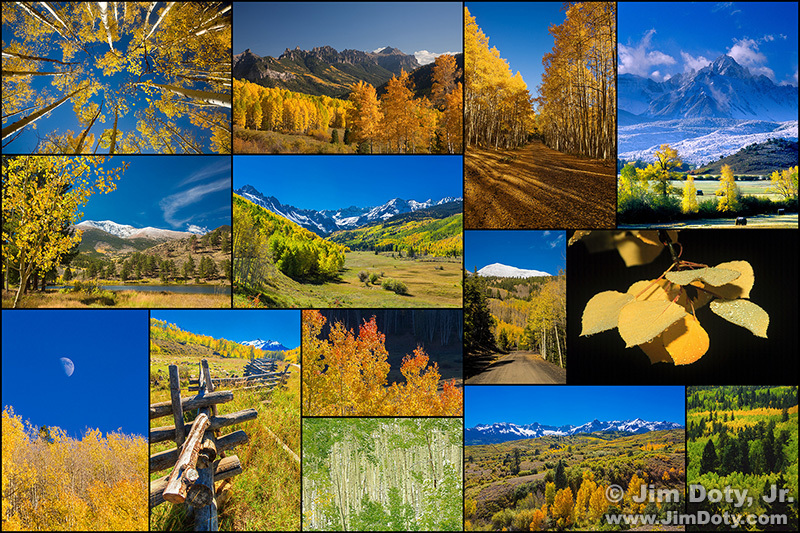 Come spend four exciting days on a total immersion photo safari in beautiful southwest Colorado. Colorado is magnificent in the fall as the aspen turn gold. The safari is September 27-30, 2019. Registration is limited and this photo safari is filling up. Details are here. 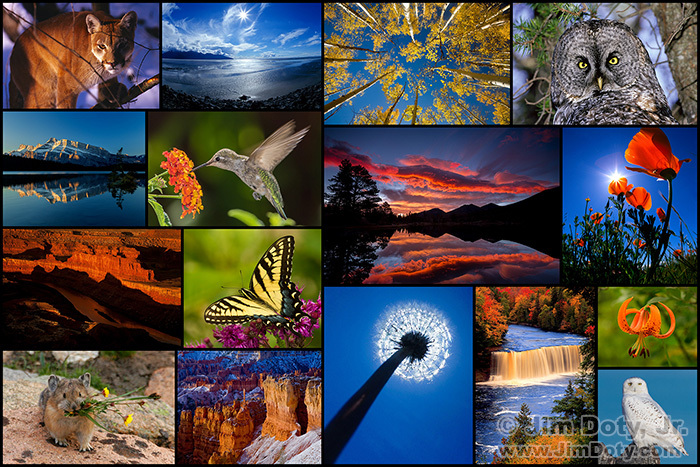 Are you ready to take your nature and wildlife photography to the next level? Are you ready to learn the professional secrets that make the difference between good images and great images? Are you ready for a high intensity, action packed, total immersion photography weekend? Come to Park of the Pines on beautiful Lake Charlevoix June 7-10, 2019. Favorite Photos, February. Click for a larger version. 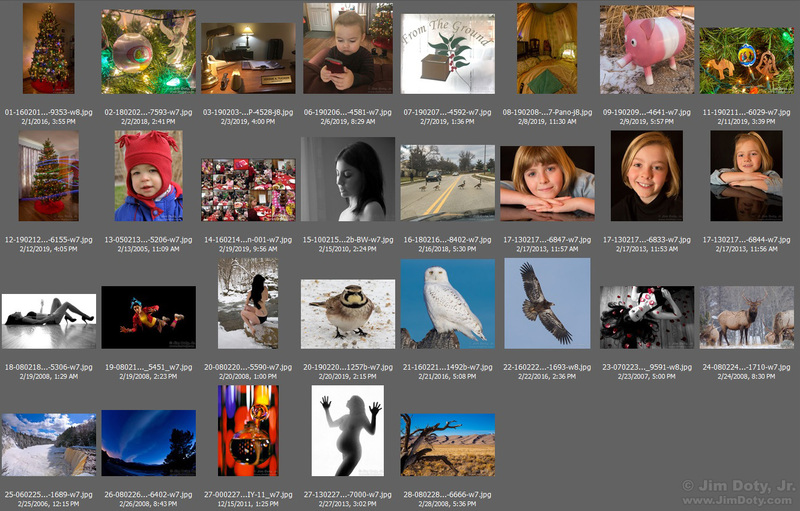 Here are my favorite photos for the month of February. The story behind this “favorite photos by date” project is here. Great Sand Dunes National Park, Colorado. February 28, 2008. 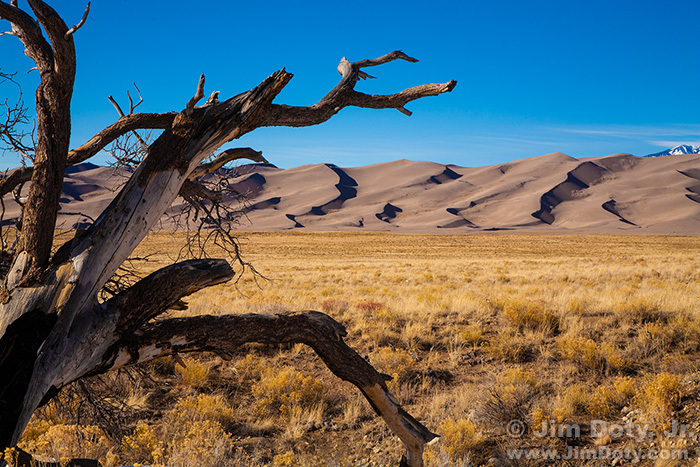 I spent a few days photographing Colorado and ended up at the Great Sand Dunes. During the day the sand is light in color, much like a light colored sandy beach. Late in the day the light hits at such a severe angle that the dunes turn almost brown. Glass Candle, Episcopal Cathedral, Kalamazoo Michigan. February 27, 2000. 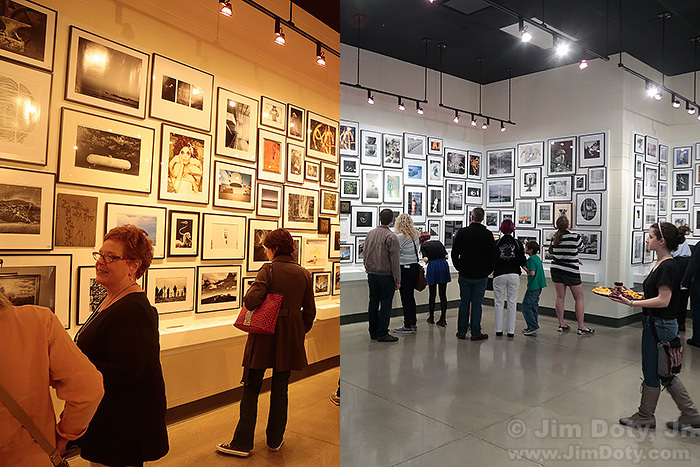 I taught photography at the Kalamazoo Institute of Arts when I lived in Michigan. One of my favorite field trips was to take my classes to the Episcopal Cathedral, even if it was a nature photography class. Moraine Park in Late Evening Light. Colorado. February 26, 2008. 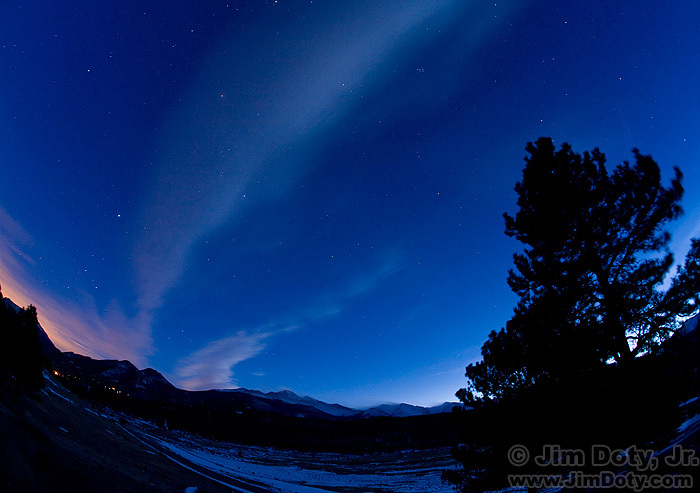 It was a beautiful evening in Rocky Mountain National Park. Sirius, Orion, Taurus, and the Pleiades star cluster were shining brightly in the night sky. The sun set at 5:50 pm and I clicked the shutter at 6:43 pm. The beautiful blue sky was due to the long, 30 second exposure. Winter at Upper Tahquamenon Falls, Michigan. February 25, 2006. 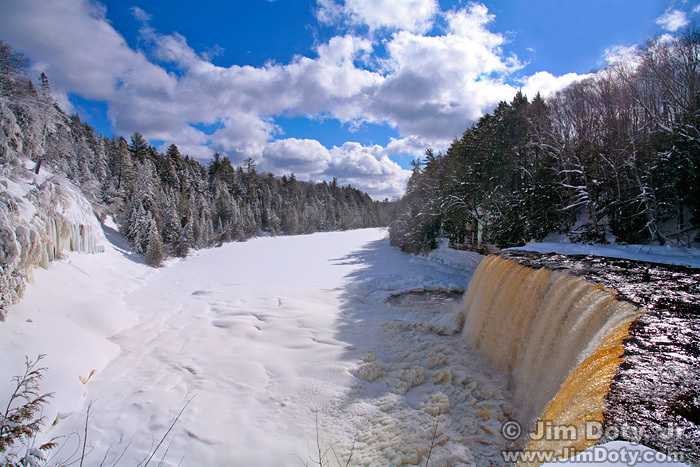 Upper Tahquamenon Falls in deservedly one of the most popular tourist locations in Michigan’s Upper Peninsula. Another photographer and I mostly had the place to ourselves with only a few other people around. I am surprised more people don’t go in the winter. 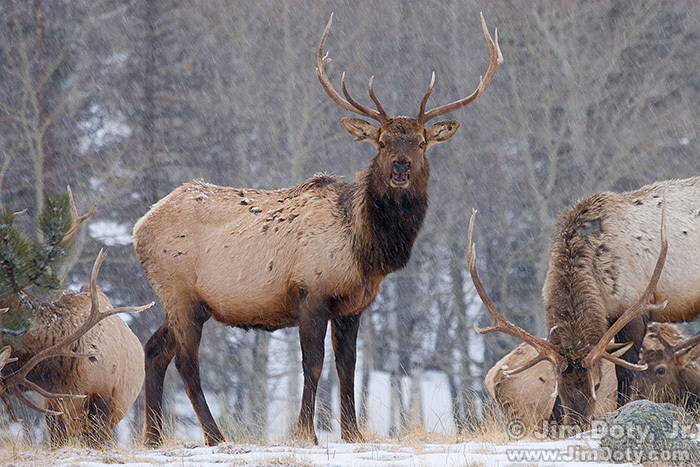 Elk in the Snow, Horseshoe Park, Rocky Mountain National Park, Colorado. February 24, 2008. There weren’t a lot of wildlife to be seen on this particular day in February. After the fall rut ends, most of the elk retreat into the forest. But I was lucky enough to find this group of young bulls on the edge of the forest in Horsehoe Park. Sami Lynn with Rose Petals, Columbus Ohio. February 23, 2007. Sami Lynn and I were creating portraits for her model portfolio. With her on the floor, I arranged her hair to get as many curls as possible at the ends of the strands of hair. The rose petals were my idea. I knew the Valentine’s Day roses in a vase were about done so I plucked all the petals and dropped them on the floor and on Sami Lynn. I’ve been to more art fairs, shows, galleries, and museums, than I would care to admit, and this exhibit is one of the most unique and remarkable I have experienced. 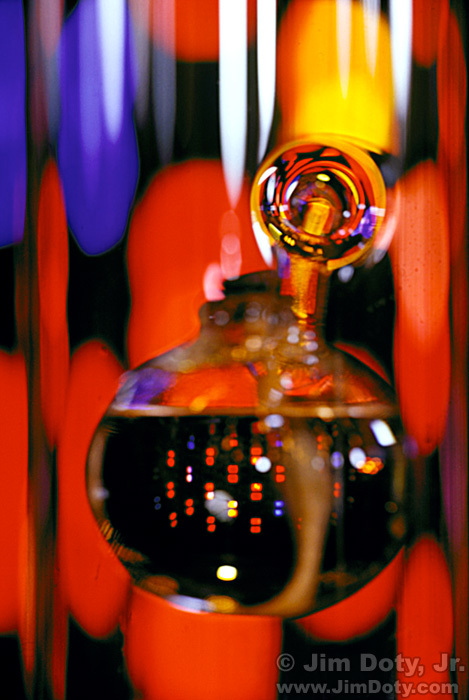 Some people choose to make art their life, and then they pour their life into their art, sometimes quite literally. And that is exactly what Julia Franklin did with this exhibit. 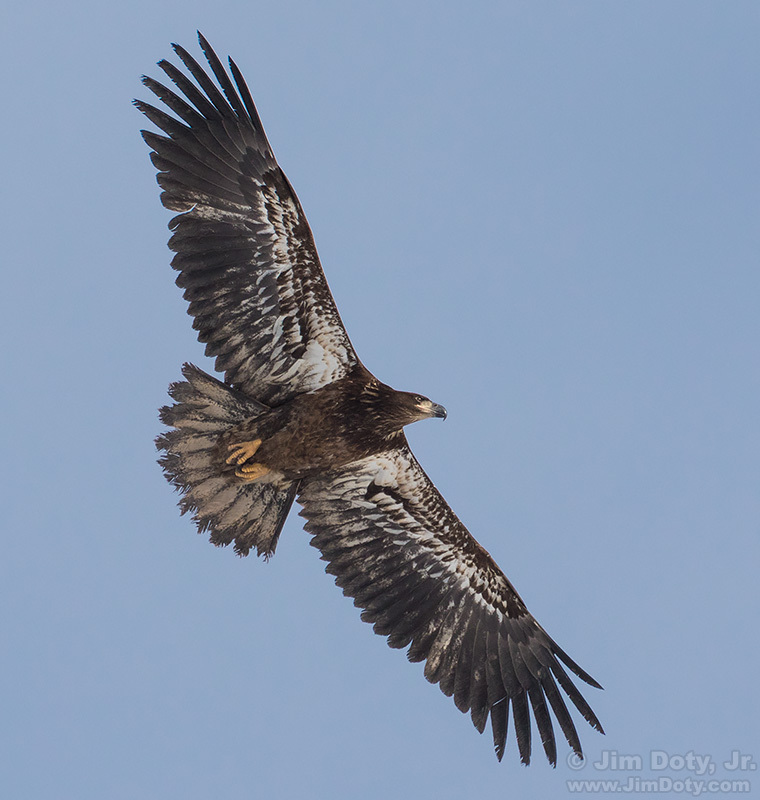 Young Bald Eagle in Flight, Michigan. February 22, 2016. This image was created on the same trip as my Snowy Owl trip. This is a young bald eagle. As it matures the head feathers will turn white and the wing feathers will get darker. This is my favorite photo for February 22. Snowy Owl, Michigan. February 21, 2016. This Snowy Owl is far and away my favorite photo for February 21, and it is one of my all time most favorite wild bird images. 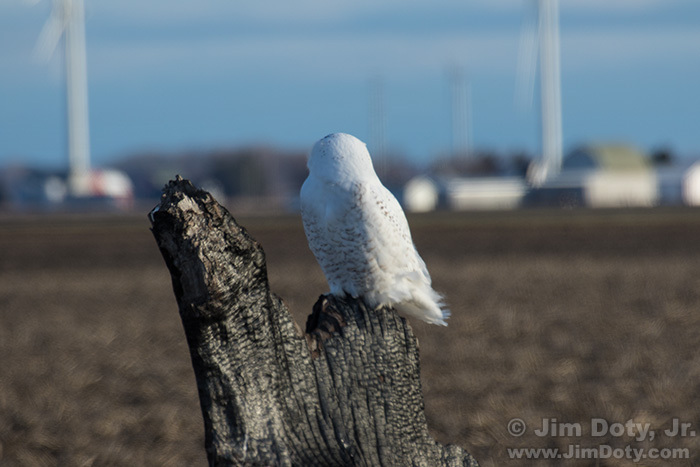 Snowy Owl Update: February 22. 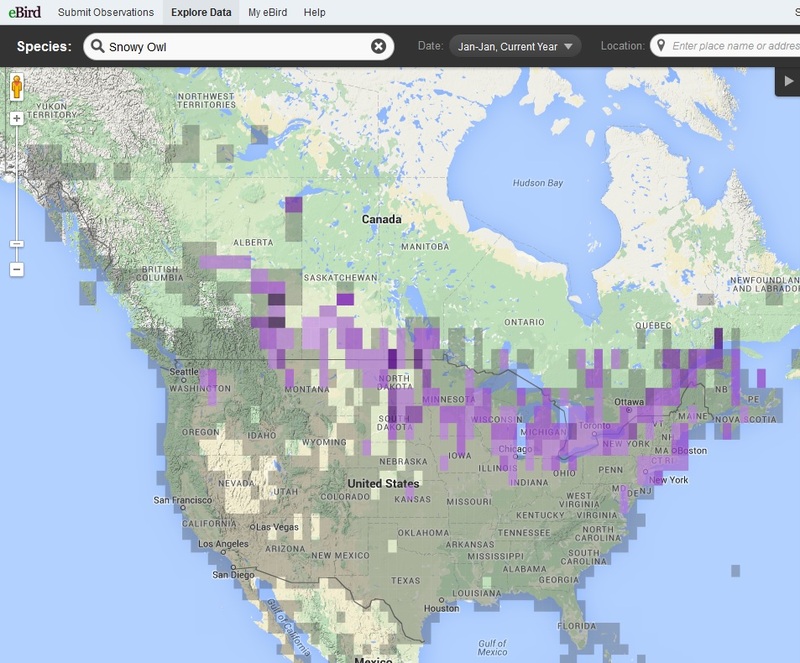 Thanks to all the cold and snow this winter, this is a great year for Snowy Owls. They have been farther south than usual and they are staying longer than usual. 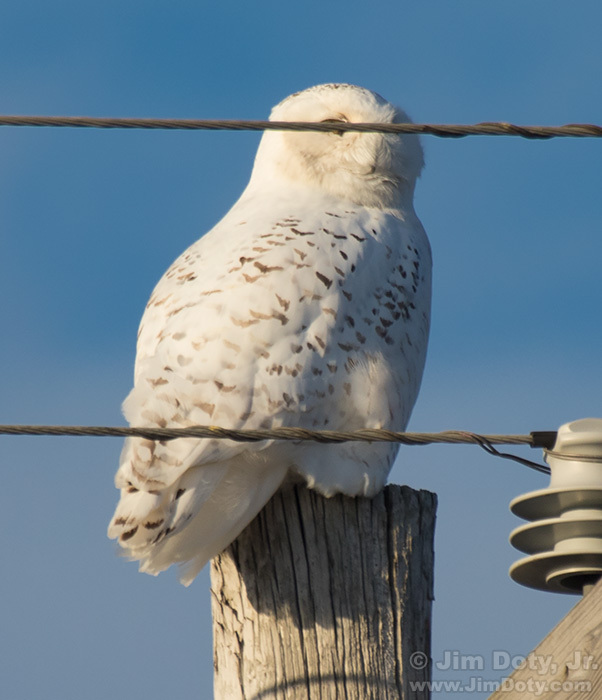 It is not too late to go photograph snowy owls. Don’t wait too long. As the weather gets warmer they will start moving farther north. When I am traveling with my highly trained and high paid photographic assistant it is his job to remove trash barrels when they are in the way, cut down trees that spoil my view, run out into the meadow and scare off the cow elk that are in front of the bull elk I want to photograph, rip boards off of old barns that don’t look quite distressed enough, pull on the whiskers of a sleeping cougar to wake it up, and cut down utility lines that are obstructing a clear view of my subject. But he wasn’t with me on this trip due to sitting in jail over a minor incident in Yosemite. So I had a challenge on my hands that I had to solve myself. I am kidding, of course. The prior paragraph was inspired by really crazy things a few photographers do but shouldn’t be doing. A simple change of background can turn a disappointing wildlife photo into a great one. Professional wildlife photographers think about backgrounds all the time and do everything they can to improve the background. Less experienced wildlife photographers are so excited to find an interesting creature that they give the background precious little thought. What is a Snowy Owl expedition really like? This article is your chance to find out. Join me for a two day photo safari! I give you tips and photo suggestions along the way, and you get to see how I prepare, plan, and adapt on a photo trip. I tell you what went right and what went wrong so this is also about what to do when things don’t go according to plan. 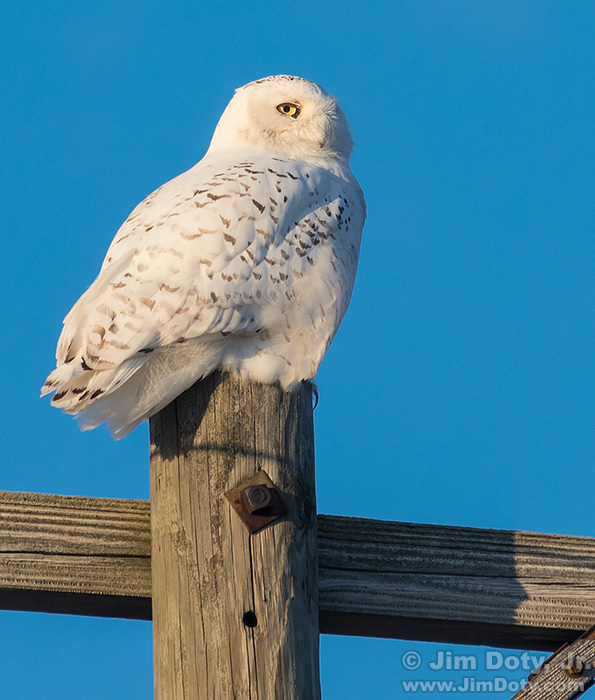 Winter is your opportunity to photograph Snowy Owls. 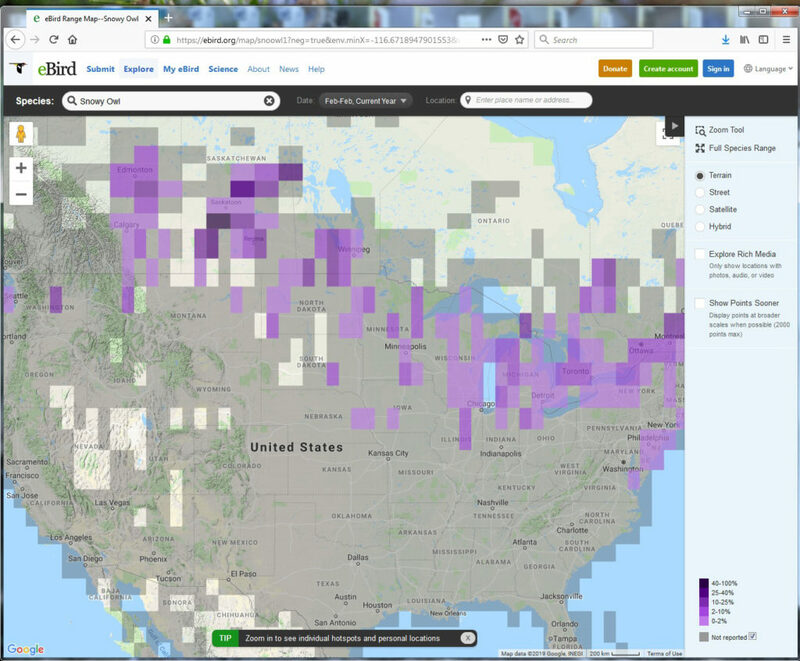 When it is cold enough and there is enough snow cover, snowy owls move down into the northern U.S. The colder it is the farther south they move. If conditions are right, don’t delay. If the winter turns warmer the snowy owls will head back north. Snowy Owl looking for prey. If there are cold enough temperatures and plenty of snow cover on the ground, the northern United States has a winter invasion of Snowy Owls. These are magnificent creatures and well worth your photographic time and attention. 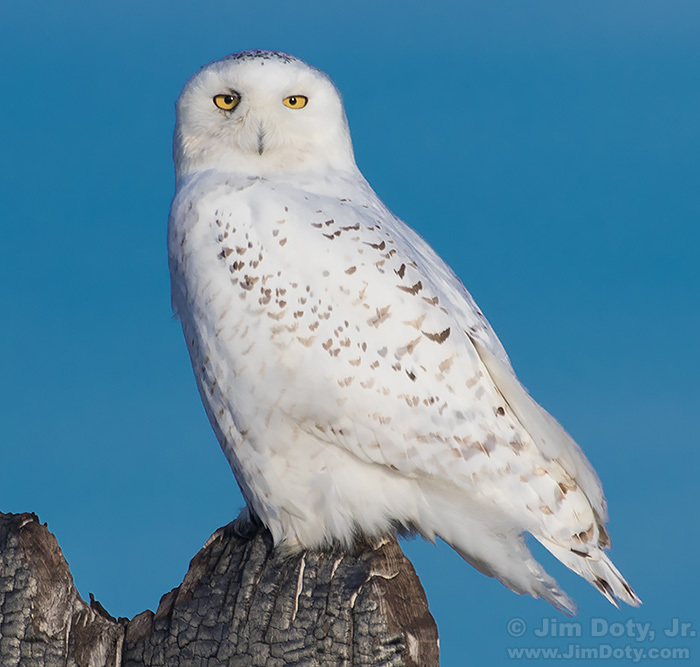 This series is filled with tips on how to find and photograph snowy owls. LIFE Magazine, Photo from V-J Day, August 14, 1945, by Alfred Eisenstaedt. This iconic photograph by Alfred Eisenstaedt is one of the most famous images ever published by LIFE magazine. 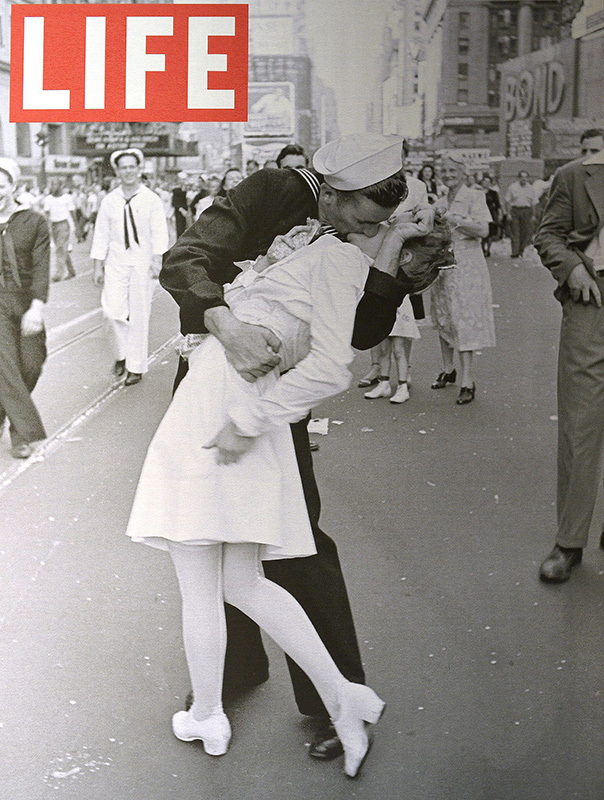 Eisenstaedt was at Times Square on the day Japan’s surrender was announced. Joyful, exuberant people filled the streets, as did photographers. Eisenstaedt took four photos of this couple (as well as photos of other people celebrating). There is quite a story behind this image. 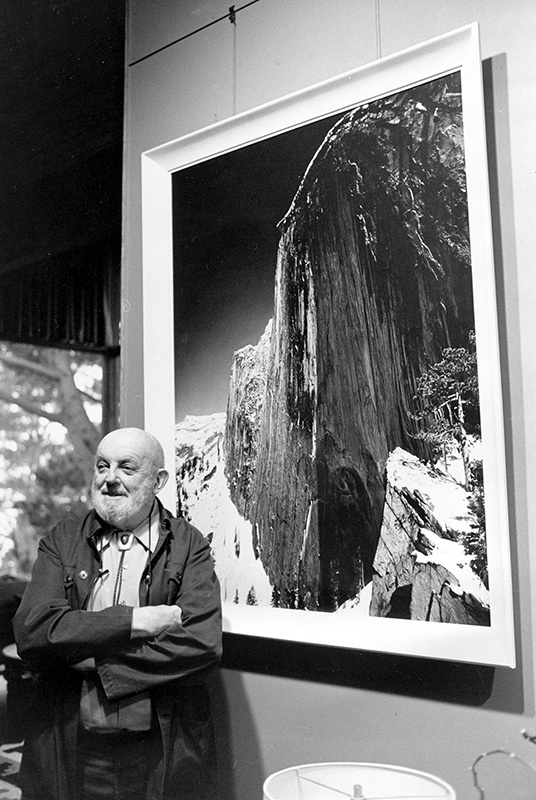 Ansel Adams in front of “Monolith: The Face of Half Dome, 1927”. Photographed in his home Dec. 2, 1980. Ansel Adams was born February 20, 1902. He is “the” icon of American landscape photography. 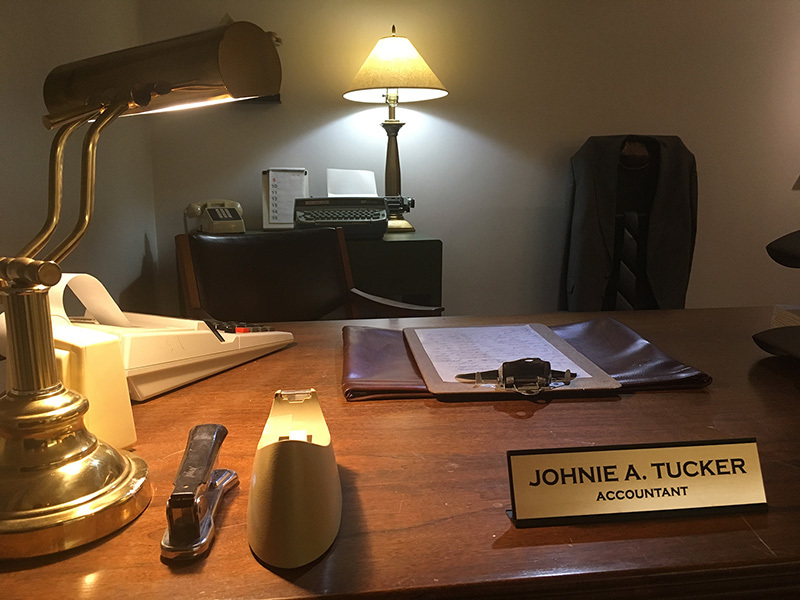 Trained as a concert pianist, his love of photography and time spent in Yosemite National Park led him to a career change. Lyn Marie, Ohio. February 20, 2008. Windchill 8°F. Lyn Marie wanted to go out and shoot in the snow. So we did. This is one of my two most favorite photos for February 20 and one of my all time favorite winter “figure studies”.